“No story lives unless someone wants to listen” – JK Rowling. This is one of my all time favourite quotes from the queen of modern English literature. I hope that this blog will lead down the same path – if only one of you out there in the world is reading what I write, then I would consider this blog a success! She Who Lives is a lifestyle blog which covers Health and Fitness, Travel, Good food and opinions on the media. I am always open to suggestions so if you would like to see me write/review a topic or product then please feel free to contact me. So a little about me. 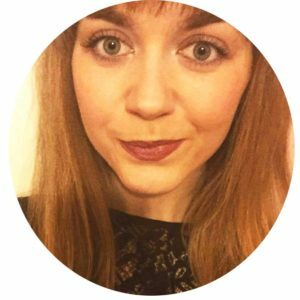 My name is Abi and I started She Who Lives back in April 2015, aiming to share with the world my thoughts, opinions and just a little bit of inspiration. I am based in the UK but hope to travel the world and have already made a good start by visiting the most beautiful places: Italy, New York, Spain and Florida to name just a few. I document my adventures right here on She Who Lives. In the last 3 years, I have become extremely aware of health and fitness and how important it is to lead a healthy lifestyle – not just for vanity but for your internal health. I have overhauled my diet and exercise habits, losing roughly 3 stone. She Who Lives presents fitness tips, my favourite low fat recipes and my top fitness gurus. I am a journalism graduate and have just started a career in the PR industry so am obsessed with the media world. She Who Lives presents opinions on the news, real-life stories, celebrity gossip and book and film reviews.